The Girard-Perregaux Laureato 2016 does not simply hint at its heritage, it pays a faithful tribute to the first Laureato series which was released back in 1975. An “everyday” watch is a must-have item. It is the timepiece which you can rely on, the one which is at ease on your wrist regardless of the occasion and it is the one which will forgive the infliction of a few micro-scratches as you go about your business. Once purchased, it will rarely be put back in its box, instead it will recline on your bedside table when it is not on your wrist, in readiness for tomorrow. This new Girard-Perregaux Laureato is exactly that kind of watch. 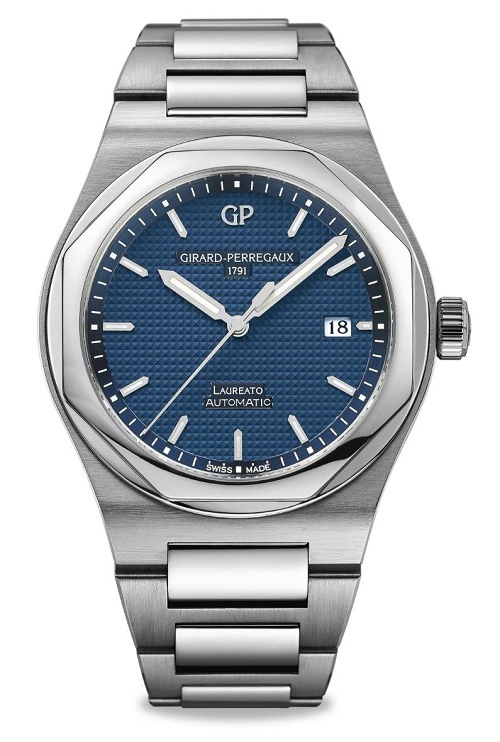 First released in 1975 as the Girard-Perregaux answer to the growing demand for high-end steel watches, since then the Laureato has had its styling tweaked, has had a quartz adventure and has even been endowed with a trio of blue spinel arrow-shaped bridges. Now, and just in time to celebrate their 225th anniversary, Girard-Perregaux have checked back through their history books, revisited their early Laureato models and, with merely a light touch on the sketch pad, have taken the collection back to what made it special in the first place. So, no frills then. And definitely nothing extra. Simply, some quiet refinement and the offer of two superb dial options, silver or blue, both of which have a textured “Clous de Paris” decoration. Purists will appreciate its Manufacture self-winding Calibre, the GP 03300-0030, while those who don’t give a hoot about horological inner workings will find much to admire in the countenance of its hexagonal bezel and the contrasting subtleties of its integrated bracelet – in other words, GP’s design department have nailed it. The new Girard-Perregaux Laureato 2016 will be a limited edition of 225 pieces. 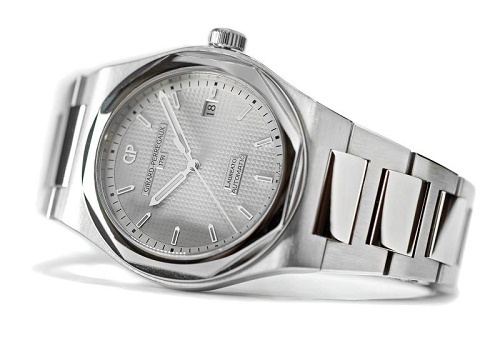 More details and specifications at the Girard-Perregaux website here.